We make about 90 quarts of spaghetti sauce a year. I would like to start freezing in the 1 qt. freezer bags instead of the hard plastic containers. However, I have had some difficulty putting the sauce the in the plastic freezer bags. Do you know of any kind of stand that would hold the bags open for filling? Also, are there any brands of plastic freezer bags that are better than others? Do you have any advice for the best way to put the bags in the freezer while the contents are still liquid? We do allow the sauce to get to room temperature before putting into the bags, and our sauce does not contain meat or cheese. I've never seen a stand but many people use things like empty coffee cans, or other empty boxes and containers. Just put the bag inside and fold the top rim over the outside part of the can. Folding the seal over the side keeps it clean so it closes and seals easier. You'll want to label the bag before filling it. 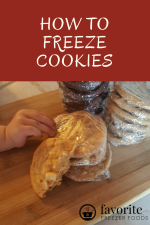 You'll also want to try freezing the bags flat so the stack and thaw easily, take less space and don't freeze into awkard shapes or worse freeze into each other. As for brands - I've never had problems with them tearing in the freezer. On occasion a bag will come unzipped but that is usually because I over-filled it. The biggest difference is how easy the bag is to seal. 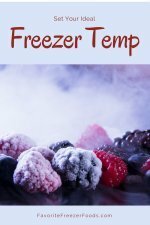 For the amount of food your freezing you might look for bags with a seal that changes color when it's closed or invest in bags with zipper seals. I also freeze meatless sauce each year. Since I used to do a lot of canning, I have a large amount of surplus mason jars. I fill these with sauce, soups, pureed spinach for smoothies, etc. and just leave about an inch at the top for expansion. I have never had any trouble freezing like this. I ran out of lids (had lots of rings, though) so I put plastic wrap on top then the ring and this froze great, too!